Our students are leaders both in our school and in the community. They are students of character which is forged through strong Christian values. Bethlehem Catholic provides a very positive, safe, secure and caring atmosphere where students are respected for their religious, ethnic and socio-economic diversity. 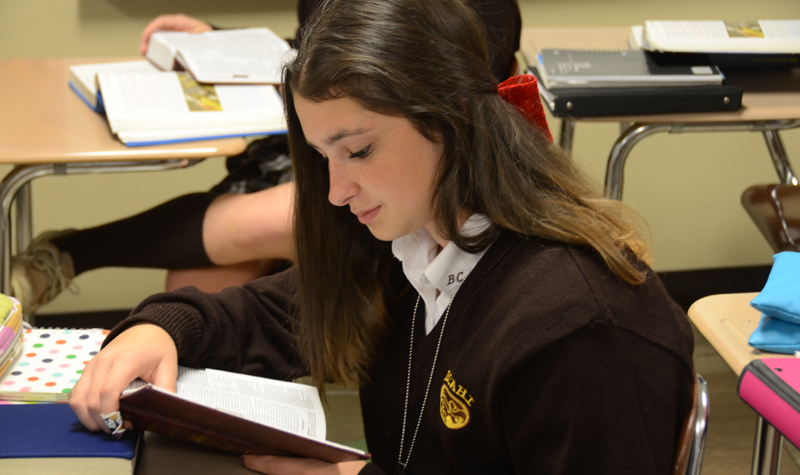 Our students have the opportunity to grow spiritually through in-school Masses and retreats, overnight retreats, daily Communion services, penance services and other spiritual clubs and activities. Our students and staff are committed to giving back to the community through service hours and community projects. BecaHi’s beautiful campus is located in suburban Bethlehem and features a first-class facility with expanding technology and on-campus athletic fields. We offer a rigorous and diverse academic program from Honors and AP courses to Vocational School, and even Virtual High School online courses. Our faculty is passionate and committed to serving our students both in the classroom and through extra-curricular activities. They are willing to work beyond the school day in order to help our students reach their full potential. Our high academic standards and academic variety prepare students to be successful not only in college but also in career choices. We have a proud alumni base with a tradition of family legacies who are committed to help provide each generation of Golden Hawks with an unforgettable high school experience.